First of all Smith Lake is one of the best striper lakes in the southeast. We rarely catch fish under 9-10 lbs. One of the reasons for this is the gulf coast strain of stripers that are in the lake. They have a shorter stockier profile than the atlantic strain, and are more tolerant to warm water. This strain of striper is said to be able to grow up to 5 lbs. a year. 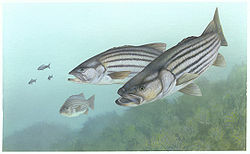 As most people know the stripers do not reproduce in the lake. Alabama Fish and Game jug fish in the spring and use eggs from BIG females(30-40lbs) to stock the lake. They have a hatchery and stock(according to their website) 66, 000 Fingerlings a year, and FYI we have heard from a few different people that number is actually more like 80-100,000 a year. They were introduced to the lake in 1983 so the population of the stripers in the lake is fairly young. The lake record is 45 pounds and 30-40 pounders are common. Right now not many people striper fish Smith Lake and not many people know about it. In my opinion, give this lake another 20 yrs. and 50 pounders will be common. 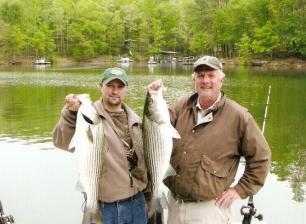 �First of all Smith Lake is one of the best striper lakes in the southeast. We rarely catch fish under 9-10 lbs. One of the reasons for this is the gulf coast strain of stripers that are in the lake. They have a shorter stockier profile than the atlantic strain, and are more tolerant to warm water. This strain of striper is said to be able to grow up to 5 lbs. a year. 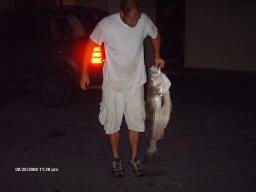 As most people know the stripers do not reproduce in the lake. Alabama Fish and Game jug fish in the spring and use eggs from BIG females(30-40lbs) to stock the lake. They have a hatchery and stock(according to their website)�66, 000 Fingerlings a year, and FYI�we have heard from a few different people that number is actually more like 80-100,000 a year. �45 pounds and 30-40 pounders are common. Right now not many people striper fish Smith Lake and�not many people know about it. In my opinion,�give this lake�another 20 yrs. and 50 pounders will be common.